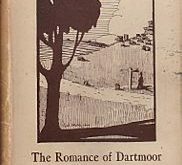 Dartmoor has always held an air of mystery with its rugged tors, gurgling streams and wild landscape which makes it an ideal place for legends. There are several stories of King Arthur around the moor and it does not take much imagination to place him and his knights battling evil its eerie, sylvan valleys. In the dark recesses of the craggy, granite tors the magician Merlin weaves his powerful spells whilst the enchanting Morgana consorts with the piskies in their secret dells. Here is a delightful poem that takes the reader into a mystifying land of valiant knights, beautiful queens and mighty wizards. Waves gently to and fro. Is resting still on thee. Sped o’er the weary wold. On the free winds are swelling. The Lady of the Mere. Passed upward to the hills. Yet sleepeth on the ground. Clad in its wild-flower wreaths.